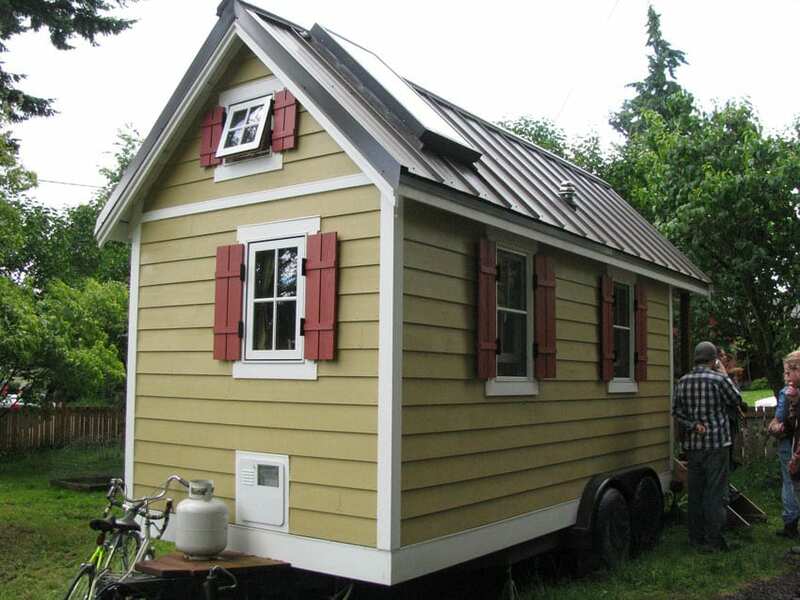 This page is dedicated to tiny house designs with a variety of different layouts and floor plans. Since the cost of buying real estate and the need for people to have a more environmentally friendly footprint have risen, tiny houses have begun to increase in popularity. 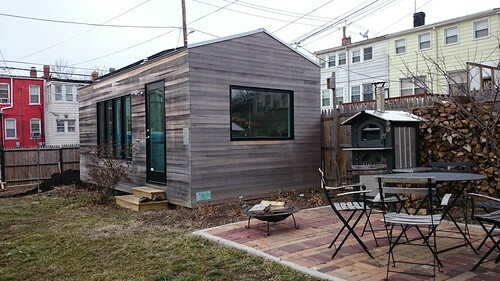 These small homes are great for those looking for a low cost way to home ownership as well as lessen their effect on the environment with reduced heating and electrical usage. 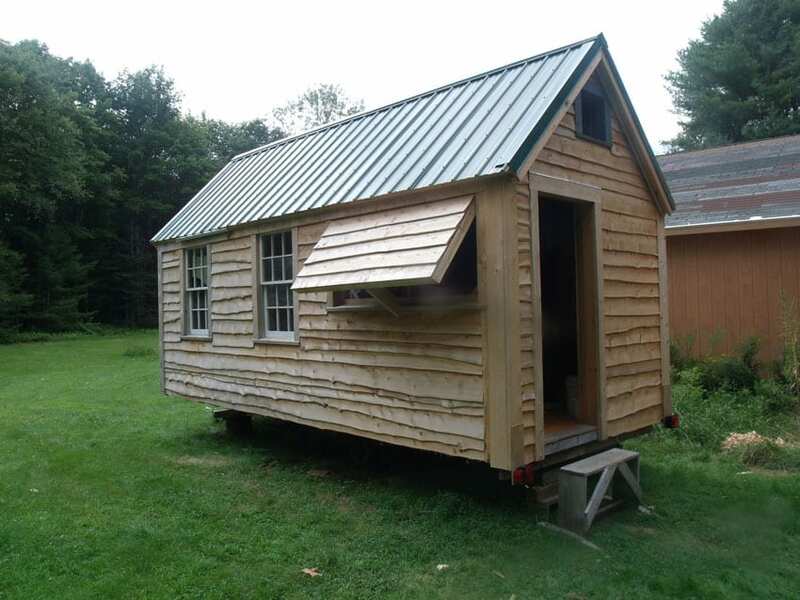 Below you’ll find an assortment of tiny house’s including custom designs, home’s on wheels for easy transportation and tiny dwellings from a kit for the true DIY enthusiast. 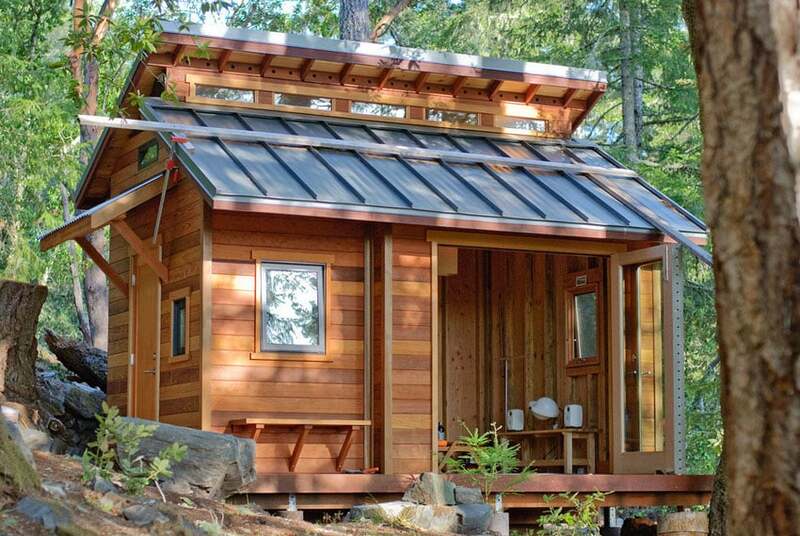 The tiny house pictured above sits in the middle of a forest, but stands out with the beautiful vibrant tone of its redwood plank exterior walls. In varying tones of reddish brown, the horizontal lines of the cabin are in contrast with its double-shed roof, broken by a horizontal set of clerestory windows in between to bring light inside the canopy. A smaller front canopy hangs over the main door, done in the same simple grey galvanized iron panels of the main roof. A small wooden deck runs along its perimeter in an L-shape, providing some exterior lounging space. 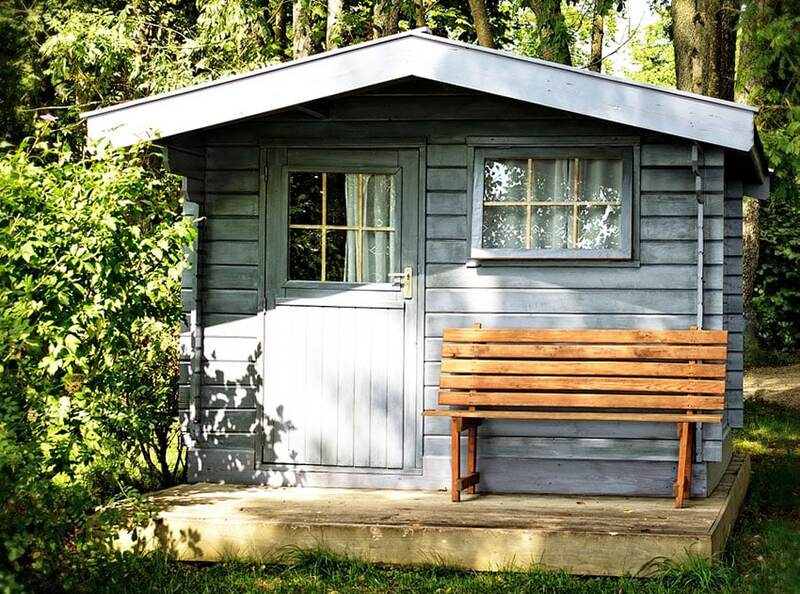 Tiny homes have become more popular in this decade, given all the design innovations for multitasking and modular, foldable furniture. In addition, it is also the conscious choice for people who want a smaller carbon footprint, or are just looking for a home they can bring along with them, instead of a home that weighs them down with maintenance and security issues. 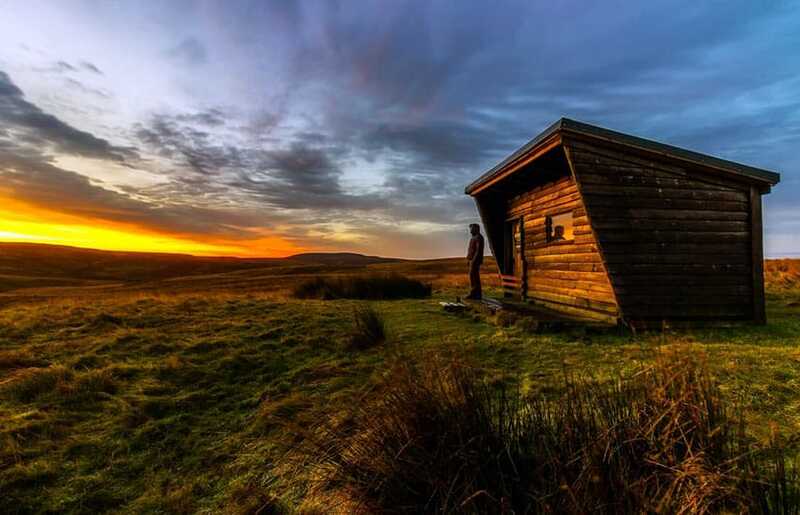 Nature is your friend – Since a lot of tiny homes are either mobile or built on a large expanse of natural landscape, working hand in hand with the environment present is a great way to utilize a tiny home, as well as make it easier to keep mobile. Solar panels are a great and efficient way to power a small space, and makes living off grid totally possible. Other nature-based technology methods include composting toilets and rainwater harvesting. In fact, designing with nature in mind doesn’t even have to involve technology—it could simply mean designing windows and openings with cross ventilation in mind or adding a skylight to naturally light up a home. Keep it simple – A symmetrical home is a good way to conserve the materials needed for its construction. In addition, this is especially important if the home is meant to be mobile and brought cross-country. A balanced load as well as aerodynamically efficient design makes the tiny house safer for traveling and ensures that the house lasts for decades. Different anthropometrics – Anthropometrics are a set of measurements or rules designers base sizes on in order to suit the average human body. 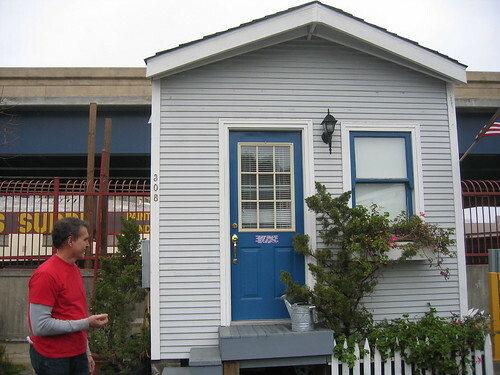 A tiny home is way smaller than an average home, so it is expected that measurements may be well below the typical anthropometric standard. 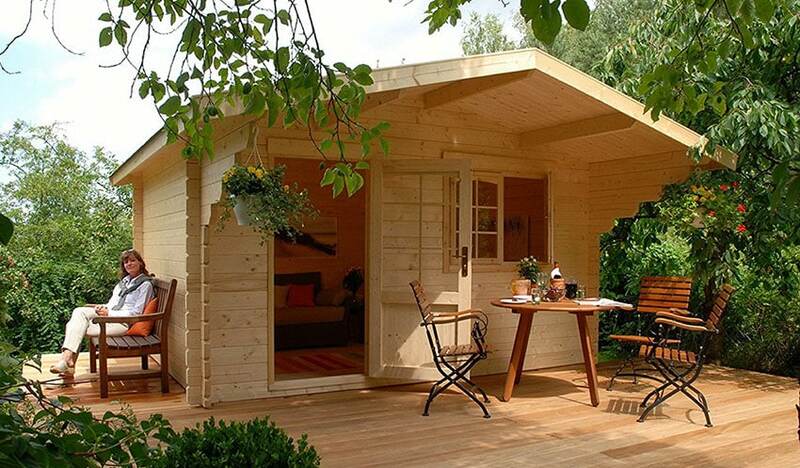 Although this may seem uncomfortable, it is important to customize your tiny home to fit your specific proportions. If you are on the smaller side, this type of setup may just be perfect, but if you are on the taller side, consider how you will be using these spaces comfortably and design according to your needs. Multi-use – Create spaces in the home that double as two different rooms common to an average home. For example, consider having the dining room and kitchen in the same space or the bedroom and lounge in the same space. New collapsible, foldable and modifiable furniture have been designed in recent years, giving birth to new ways of using any one single space. When looking at space in a tiny home, don’t look at it the same way you would see a regular home’s spaces, separated by walls. Walls tend to cut the amount of livable space in a tiny home, so consider using natural dividers or curtains. Road-worthy home – Living in a mobile home is definitely not unheard of especially in the United States as our road networks are highly expansive and efficient. It is important, however, that mobile home owners and drivers be aware of different laws in each state. For example, some may require mobile homes to hold license plates, documents and any other legal papers. For starters, installing a tough, reliable winch is important for the safety of your mobile home and of others. Another important installation could be taillights. The best way to ensure this is to visit a qualified vehicle inspection station and ask for an assessment and accreditation. 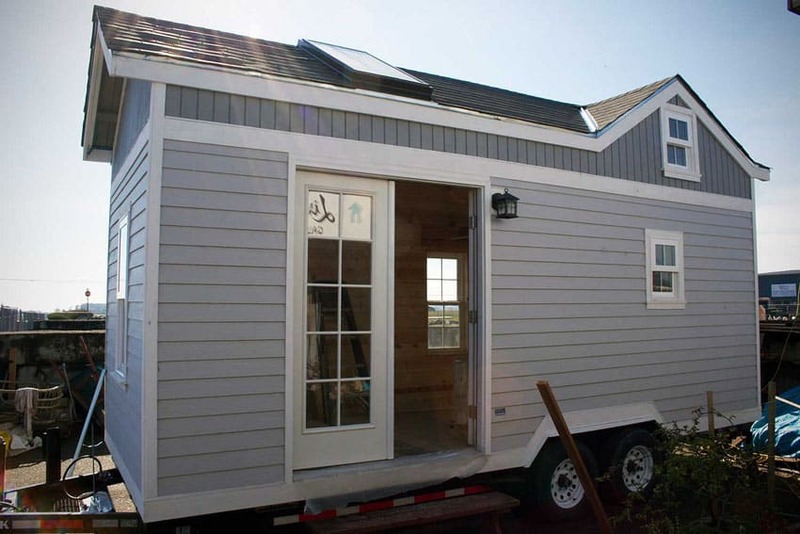 Know Your Tiny Home Budget – A commonly asked question is how much does it cost to build a tiny house? Cost can vary greatly depending on the materials used, and often costs can get out of hand without taking precautions. 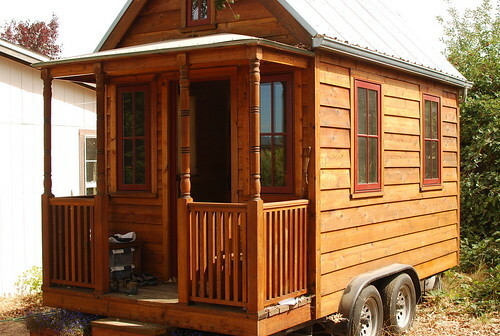 As a general rule of thumb the price of a 200 square foot tiny house can run from $25,000 to $35,000. 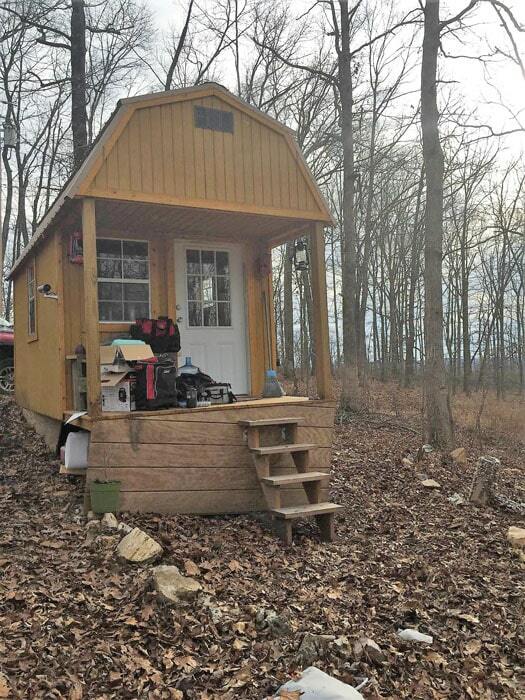 It is not uncommon to see tiny homes that cost much less. The best way to lessen the financial burden of your home is to do all the construction work yourself as well as shop around for high quality used materials. 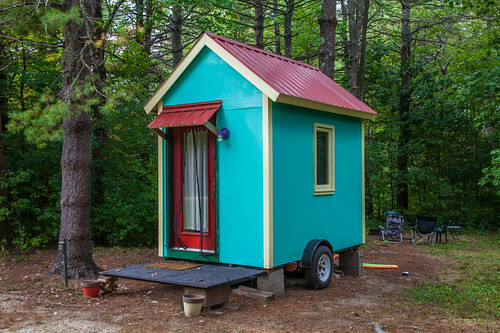 Before setting out on creating your dream tiny house make sure you create a budge that covers the cost of materials and labor. You can find great deals by purchasing second hand or discounted materials. Another great tip is to shop for parts using the free section of Craigslist. You’d be amazed how much money you can save by picking up items that people no longer want that can be used on your home project. A line of horizontal clerestory windows is installed below the upper shed roof of this forest cottage, bringing in light and a view of the beautiful forest canopy to the inside. A glass and wood folding door set opens up part of the house to the great outdoors, with a patio and wall-mounted bench installed for lounging. The entire house was done in a uniform redwood frame and façade, with only the dark grey iron roofing contrasting the wood’s warm tones. 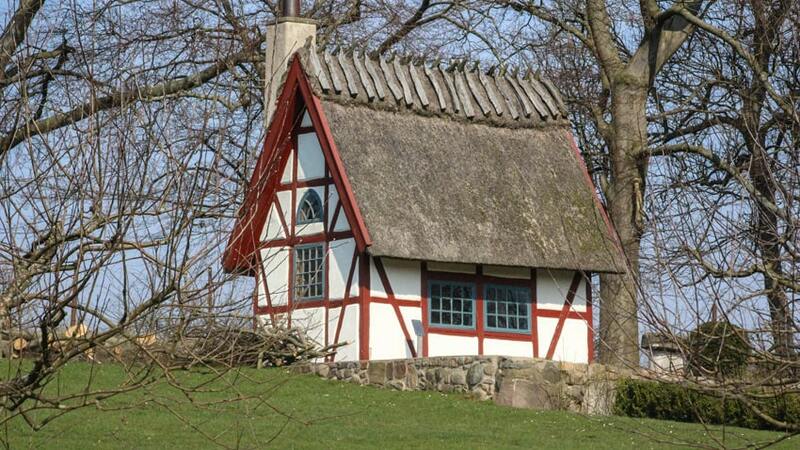 This quaint yet functional house may be tiny, but you can take it with you on your travels. Rolling along the freeway, this house features a set of wheels, on which the base of the house, in white trim, supports walls in tan-colored clapboard. Small dull red shutters outline the white-framed windows, and a simple galvanized iron roof is light, but provides protection from the elements. The house also features a skylight on the roof, as well as a ventilation stack, allowing both light and air into the house. This tiny house features pine wood wall boards and eaves, with its signature light colored grain speckled with heavy dark knots. The bottom of the house is also protected from small animals and trash by using a cross-hatched lattice all around the elevated base, which matches with the house’s cottage style aesthetic. The house’s crowning glory is a simple shed roof in forest green galvanized iron sheets, matching the canopy of trees in the area. The house features a small dormer window and roof on one side, bringing light into the interior. 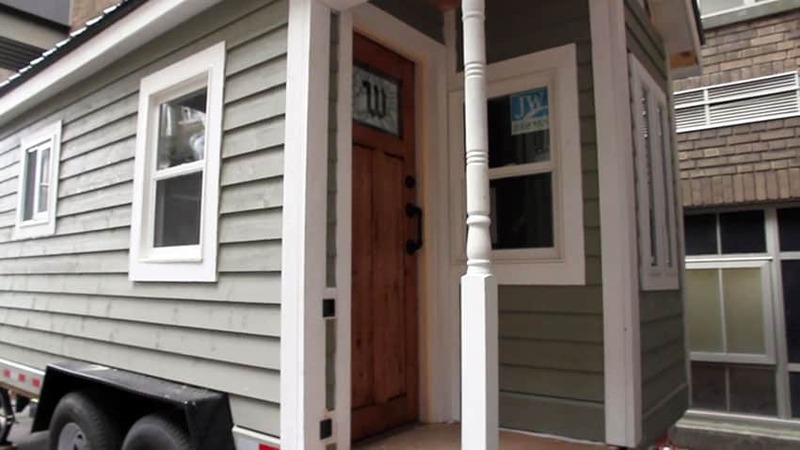 The front bench on this porch, done in a warm wood color, stands out from the rest of the house, painted a dull grey. Horizontal clapboards contrast with the verticality of the door and window, which feature gold-tinged glass mullions. Raised from the earth via a construction in weathered wood, this tiny house is perfectly suited to a forest setting. This basic light grey planked tiny house is literally elevated, with a small patio at the front leading to a set of stairs. It even has a white picket fence, in line with the concept of the classic American home. To highlight the small home, a vibrant electric blue was used for the double hung window and classic paneled front door with gold lockset. Going for something a little more out of the ordinary, this house is a capsule suspended on wires emanating from a pair of strong reinforced wooden posts on either end. The house itself has an avant garde form, similar to a nut or an acorn, and is smoothly divided on its center, with its lower half painted a textured brown and its upper half decked with roof shingles. Three small openings serve as windows, and the house even goes so far as to add a small, metal chimney for the winter. 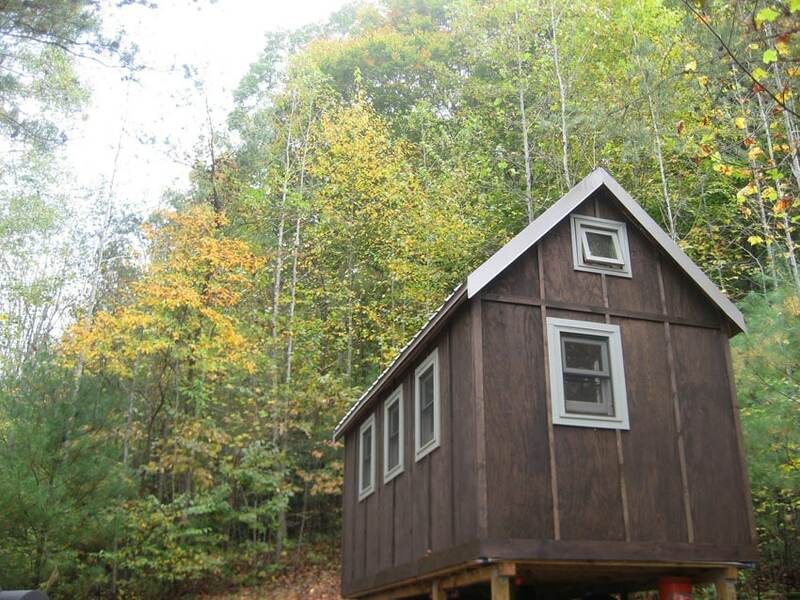 This extremely tiny house is set high above the ground and is accessible via a set of steps constructed out of weathered wood. The base of the house is clad in split face stone tiles in warm grey and dark brown. Atop this sits an all-white boarded house with matching white mullions and frames for doors and windows, topped by a pyramidal green asphalt shingle roof. To the side sits a quaint bench swing for relaxing. As if coming from a storybook, this tiny house features vertical clapboard cladding painted a vibrant shade of cerulean. Whimsical elements are also enforced by the small, square windows in white, as well as the scalloping pattern on the roof and base trims. 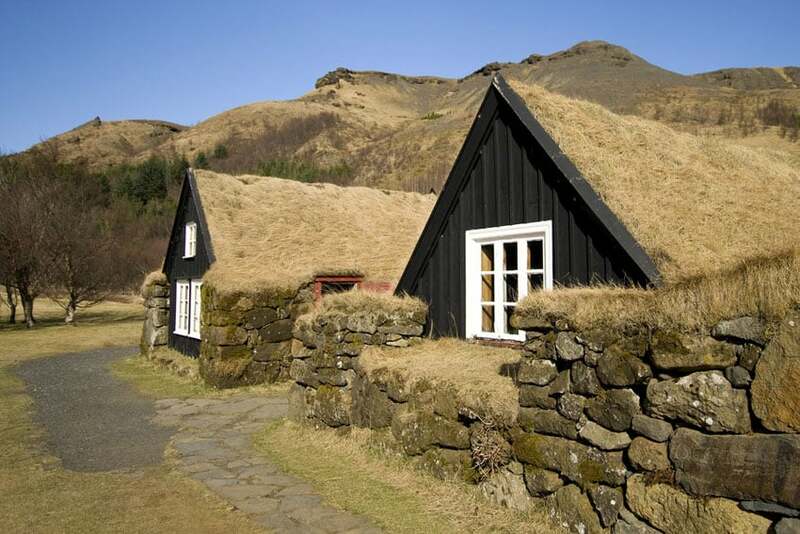 Thatch covers the tops of the gable roofs, easily replaceable given the amount of greenery all around. Using more Modern materials, this house features a glass enclosure for the overhanging living space, where people can see right into the trees and sky. The rest of the house is clad in aluminum panels, lending it a futuristic look. It is elevated from the ground and decorated with plants below its elevated surface. The garden path is in dark grey pebbles and lined with spiky plants. 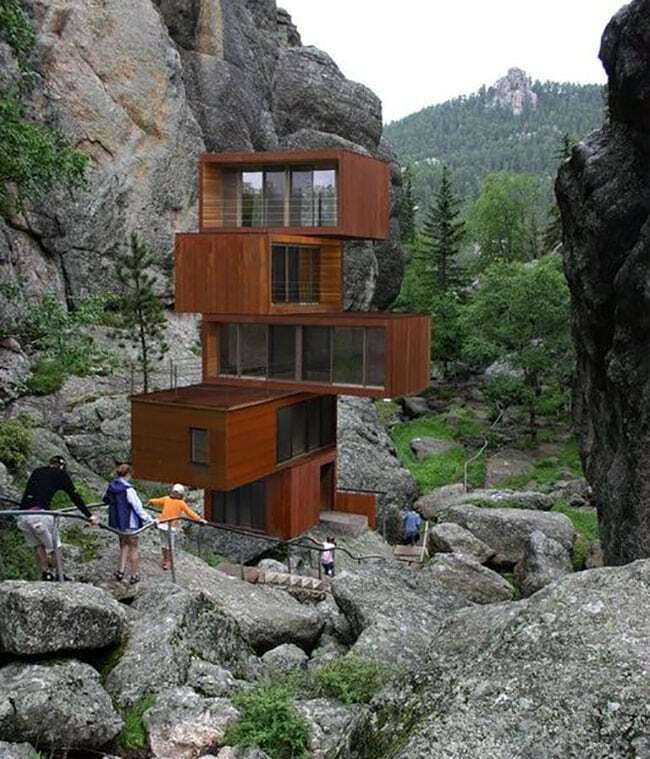 As if mimicking the boulders surrounding it, this house features rectangular forms stacked excitingly tall together. All featuring the same dark wood panel and large floor to ceiling windows, the empty spaces atop each box was converted into a viewing deck with railings, providing a lot of space for viewing the outdoors. This house is the perfect marriage of Modernist aesthetic and natural form and material. This tiny house goes for a very Minimalist look, going for a massing that entails just two rectangles stacked atop each other. Thin ribbon windows line the top of the ground floor’s front, as well as the side of the second floor. The main area jutting out of the massing on the second floor features a large four panel floor to ceiling window, creating great symmetry from the front and allowing for a beautiful view. 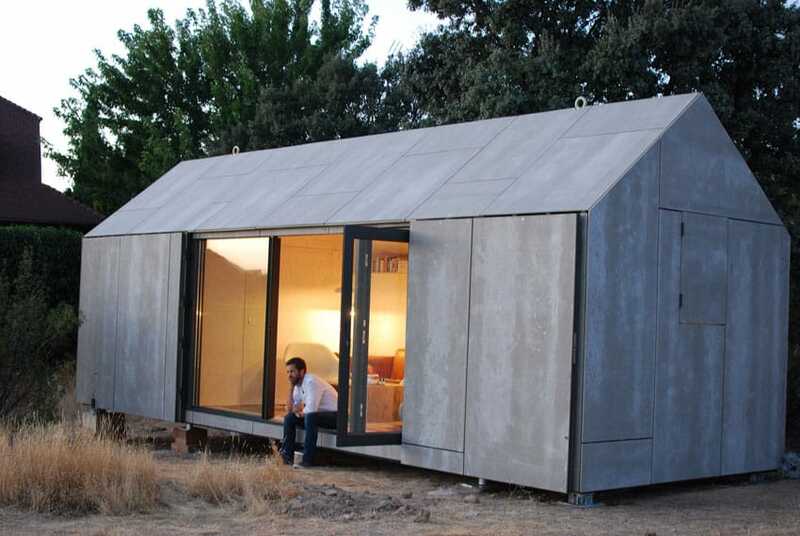 This Industrial style tiny house goes for the traditional gable shape of a cottage, but goes for a more Modernist look with unfinished fiber cement boards cladding its surface. No openings are seen, save for the large glass sliding doors to one side with thick black frames. Warm light emanates from within and is viewed beautifully through the door frame, which is elevated from the ground and provides a ledge to sit while enjoying the outdoors. Grey wood planks are laid horizontally end to end to form the body of this house flushed to the corner of this yard. The gable roof hugs the house’s four walls closely, creating a clean, seamless transition between the walls and the roof. To go with the modern look of the greyish wood finish, the large glass front door and picture windows run wide and tall, and are glazed with a bluish tinge. In addition, these glazing installations are framed by black powder coated aluminum—making it light but durable. 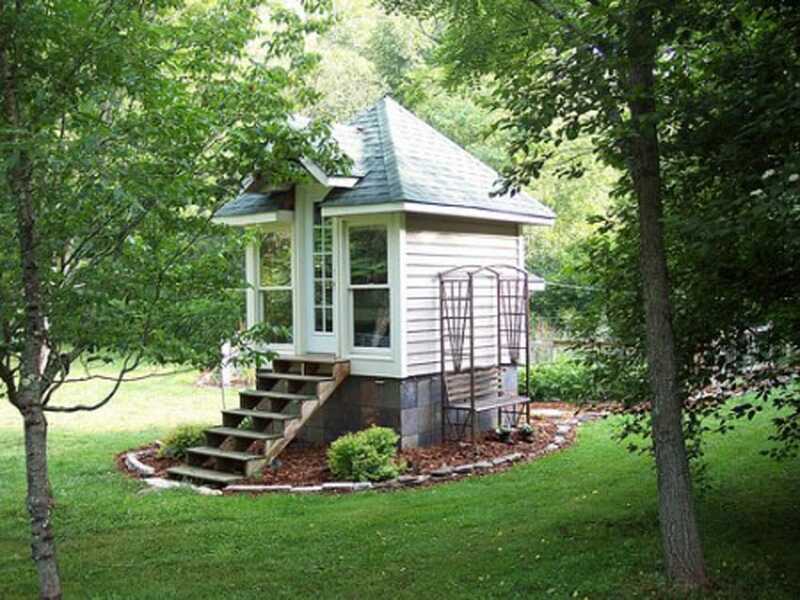 This tiny 113 square ft house kit would make the perfect yoga studio, private retreat or guest cottage. 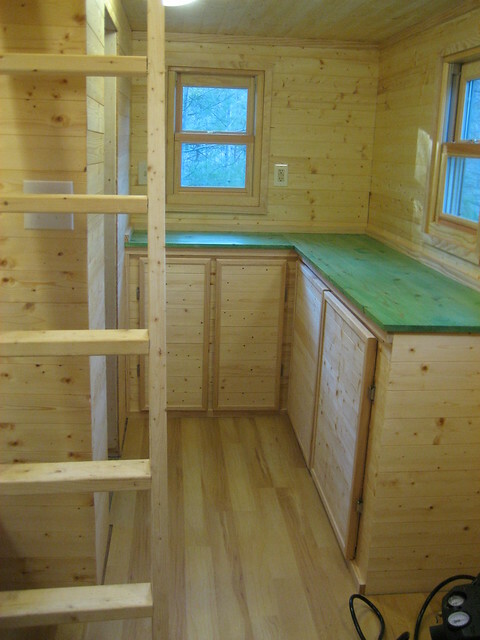 The cabin is constructed from solid spruce wood and can be put together with two people in about 6 hours with the proper tools. 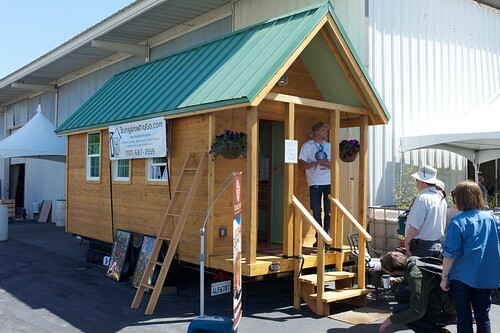 Click here for more information on this tiny house kit. An extremely basic tiny house kit design that anyone can build, this plan takes the Classic American house design and micro-sizes it to become a classy mobile home. Pinewood is used for the cladding planks as well as the roof framing. It is also used for the main door decking and steps, elements typical to classic American homes. A vibrant forest green roof in metal panels forms a gable and protects the entire house from the elements. Beautiful yellow spring blooms contrast well with the dark wood stain used on this house’s wall panels. All in a uniform heavy-grained dark wood, roof and window trims were colored white to contrast with the dark walls. Double hung windows are spread throughout the house in an even height with a small window near the apex of the roof to allow for interior cross ventilation. The house is slightly raised from the ground using heavy duty palettes. This very simple mobile home, complete with taillights at the bottom of its front door façade, is clad in a very rough wood siding in its natural tone and cut. The same rough cut siding is used for the small awning to the side of the home that creates a natural shade yet allows air to pass through. The main door and the smaller double hung windows are framed by a smoother, more linear wood trim in the same wood finish. The entire house is finished off by a forest green galvanized iron roof. 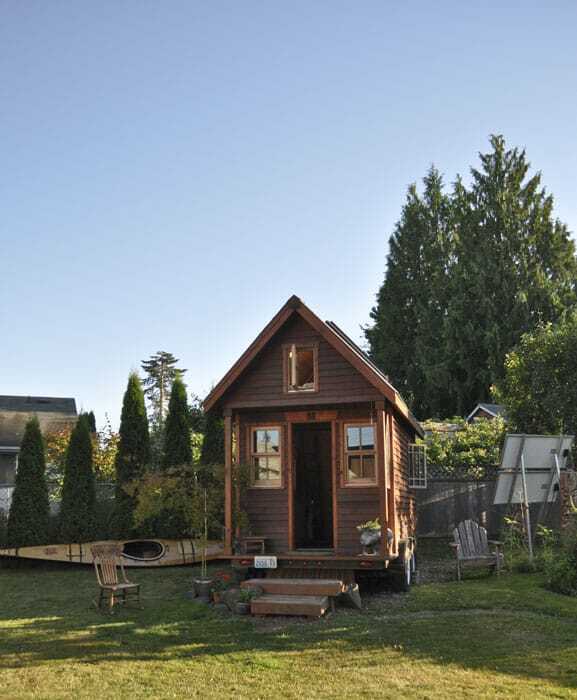 Tiny house designs must pack as much functionality as possible in to a very small space. For this reason its important to use every bit of living space. 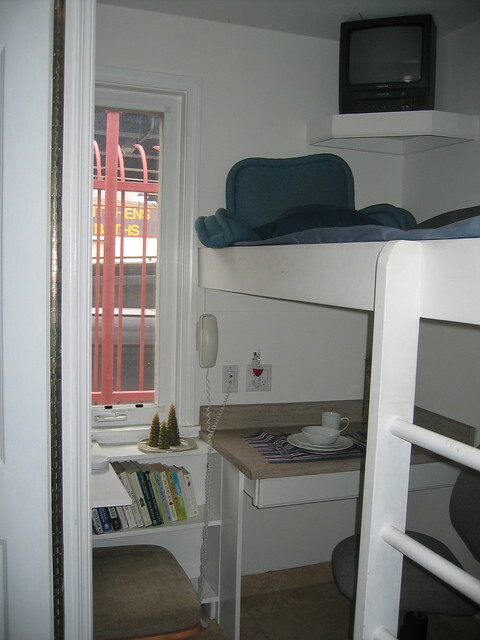 Loft style sleeping bunks such as the one shown below keep the main living area free from foot traffic and allow some privacy from others you may be sharing the space. Looking inside this tiny house you can see it is constructed with pale white pine marred with dark knots, this house features a very neutral palette with beige curtains, dark brown sofa and rattan furniture. To make the most of the interior space, a ladder is set in the middle leading up to a loft bed, surrounded on all three sides by clerestory windows, ensuring the small space is filled with light and air. 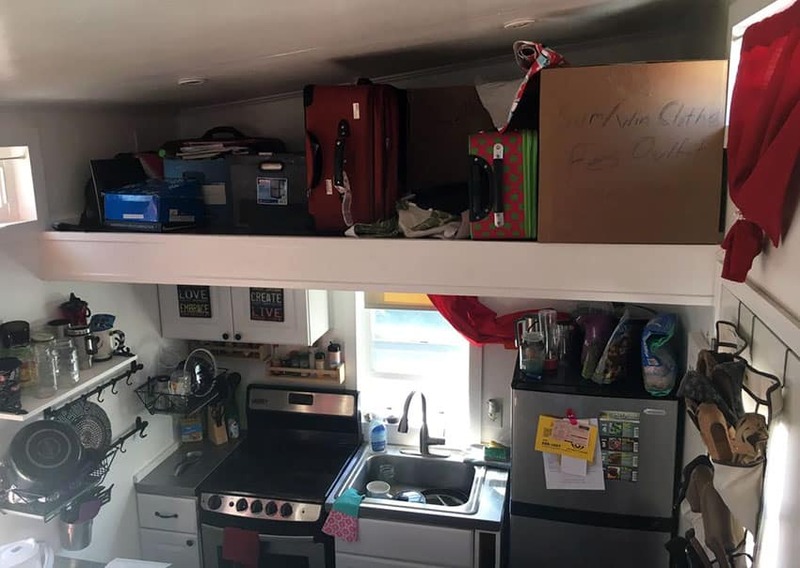 This tiny house’s small kitchen offers almost all of the amenities found in a full size home with an oven/stovetop, sink, cabinets and refrigerator. 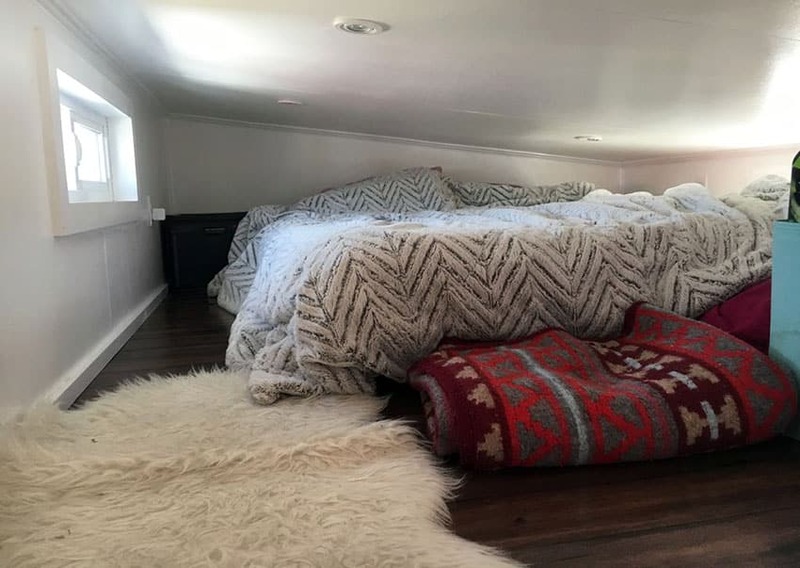 There’s plenty of extra storage space directly above the kitchen or it can be used as a second loft sleeping area. The loft bedroom in this tiny house offers room for a queen size bed with minimal headroom. Nice touches like wood laminate floors and small window views help keep things bright and airy in this space. Small spaces, when planned efficiently, can have enough room for anything you’ll ever need. In this example, a simple wall-hung desk in white with a grey wood topping is mounted onto the wall with a small bookshelf built-up right beside it. Above that, a raised bedframe is also mounted onto the wall with an access ladder by its foot. As a finishing touch, a small television was mounted on a corner shelf by the bed’s head, turning this tiny room into a functional space for work, sleep and entertainment. When designing a tiny house, ladders and split levels play a big role in efficiently distributing space. In this case, the bottom of the loft bedroom accessible via ladder is designed as the kitchen. With an L-shaped countertop layout, the basic casework of the under counter cabinets are in the same pinewood used all around the house. To contrast with the basic quality of pinewood, the countertops were stained a vibrant green and provided with two double hung windows to bring in more light and air. This Modernist barn style house features very rustic materials in its reclaimed wood construction and wood shingle roof, but attributes itself to a more Modern design with its triangular form. Black metal frames for the doors and windows contrast well with the weathered wood and also lend to the Modern aesthetic of the house, as do the contemporary furniture in the house’s interior. 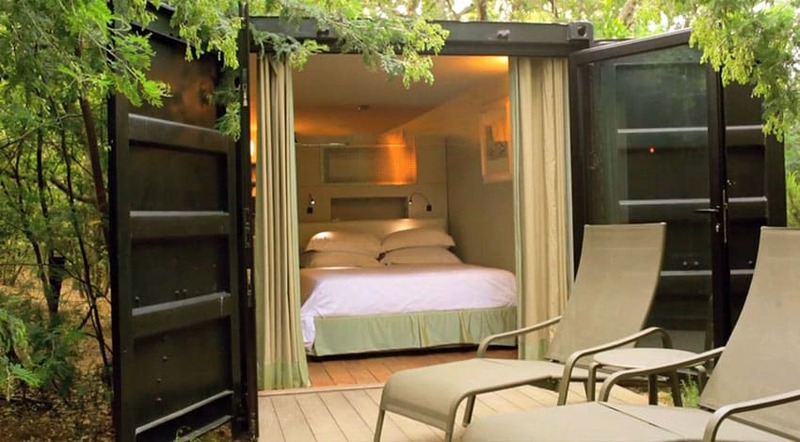 Creating a house from a shipping container may sound crazy but there are many people who have created amazing living spaces from these inexpensive structures. The typical shipping container only costs from $2000 to $5000 (depending on size) and is an effective base for building a tiny house. These cargo container’s are virtually indestructible and can be stacked together to create a larger structure. 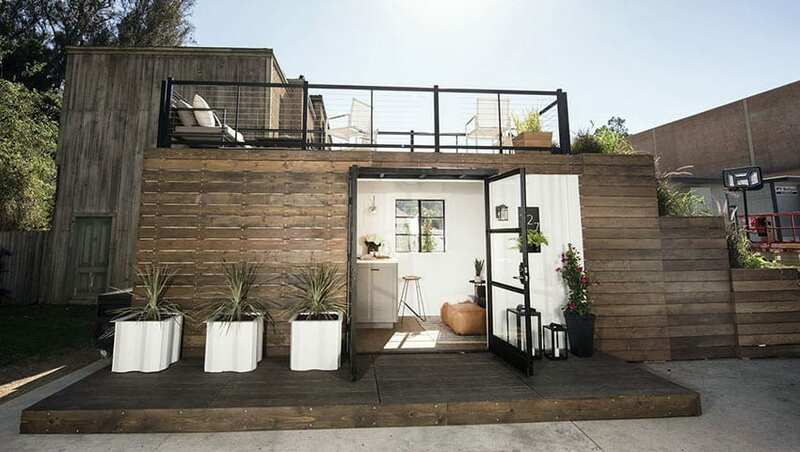 Opening right onto a sun deck, a double bed is squeezed into the end of an upcycled shipping container which has been built with a customized headboard featuring a lot of shelving space as well as lighting options—from cove to task lighting. Beige curtains and a black metal door serve as the door between the all-white bedroom and the patio with lounge chairs in light wood decking. 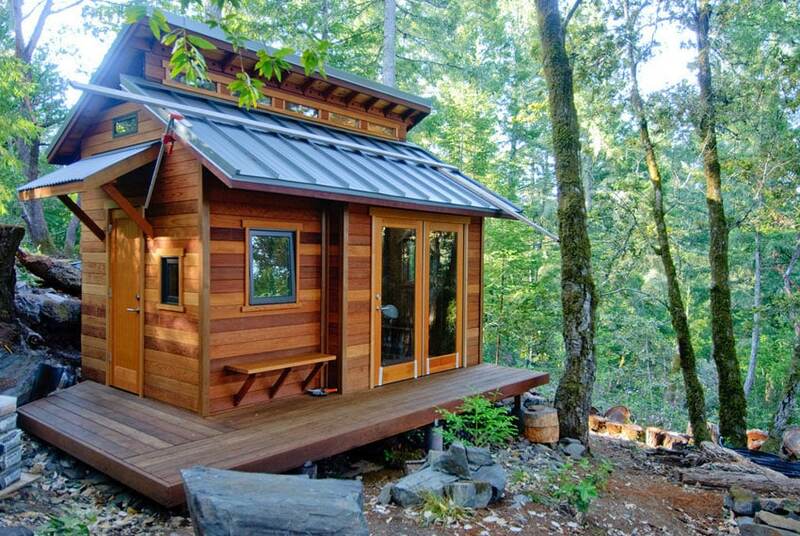 This tiny house is simple and perfect for areas that enjoy a lot of sunlight. Made up simply of upcycled palettes stained a darker tone, these modules are stacked horizontally and create a Modernist look, completed by the black metal used for the glass main door and metal railings at the top. The top of the house is accessible via stairs and was decked with patio furniture, making it a great place for sightseeing, socializing and sunbathing. 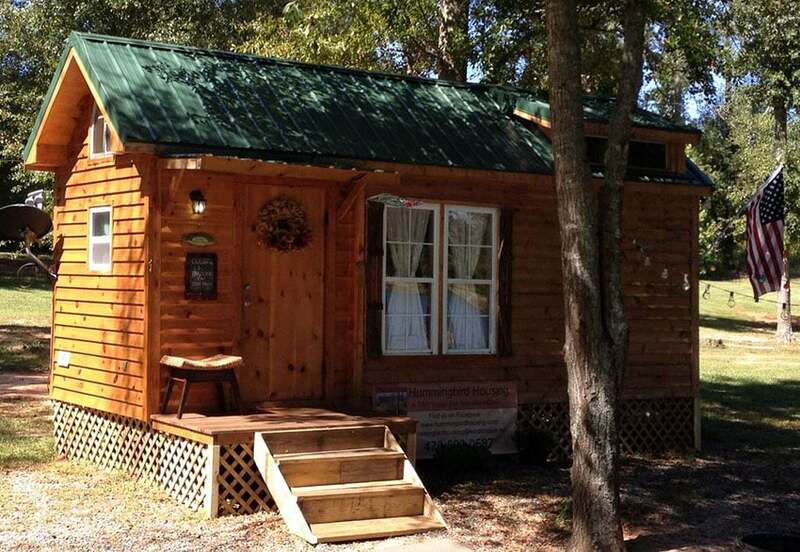 Since the early days of pioneers log cabin homes have been an effective way to great a durable structure that are long lasting and inexpensive to build. Logs are natural insulators and from a renewable resource that makes their construction eco friendly. Log cabin homes are often available as kits making them a great choice for homesteaders or those with land living off the grid. The construction of this tiny house is relatively simple, but the Minimalistic profile gives it a bit of a Modern Rustic vibe. With just a single grade slightly slanting roof, the house is built of reclaimed wood planks set horizontally. A small main door and even smaller window are the only things on its façade. The way the side walls follow the slant of the roof lend to its Modernist characteristic. 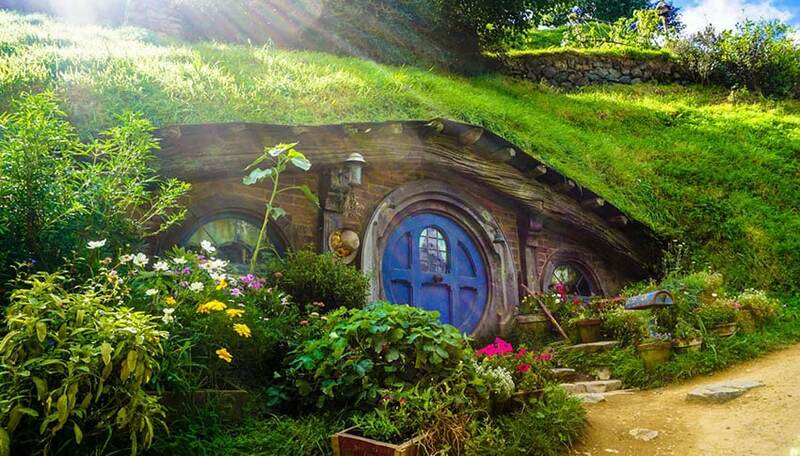 Taking ideas directly from “The Hobbit”, this tiny home features smaller anthropometric dimensions for its rounded doors and windows, and is built right into a grassy knoll. The front of the house is in a linear stacked river stone and culminates at the center with a bright blue circular door with central door knob. The sides of the house are also landscaped with pots and wildflowers. 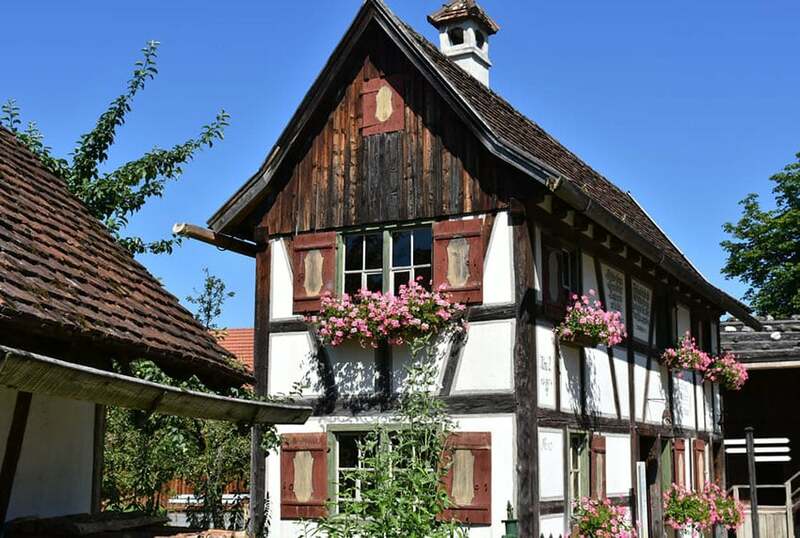 This tiny Swiss chalet style cottage features exposed weathered wood framing and wall panels in between painted a pristine white. The apex of the gabled roof to the points where it ends are covered by reclaimed wood planks laid out vertically, matching the weathered look of the wood shingles used on the roof itself. In addition, the quaint mullioned windows are bordered by bright red window shutters, as well as flower boxes on the window sills. This tiny cottage goes for an Old English feel, clearly seen in the exposed framing, painted a striking maroon color against the clean white walls. To contrast with the reddish framing, window mullions were painted a forest green and designed to have small closely-spaced mullions. The steep gable roof, making a up a large volume of the house, is clad in thatch, and held down at the roof apex using weathered wood nailers. A small stone chimney to the side, as well as the bare trees in the background complete the Old English look of this tiny house. 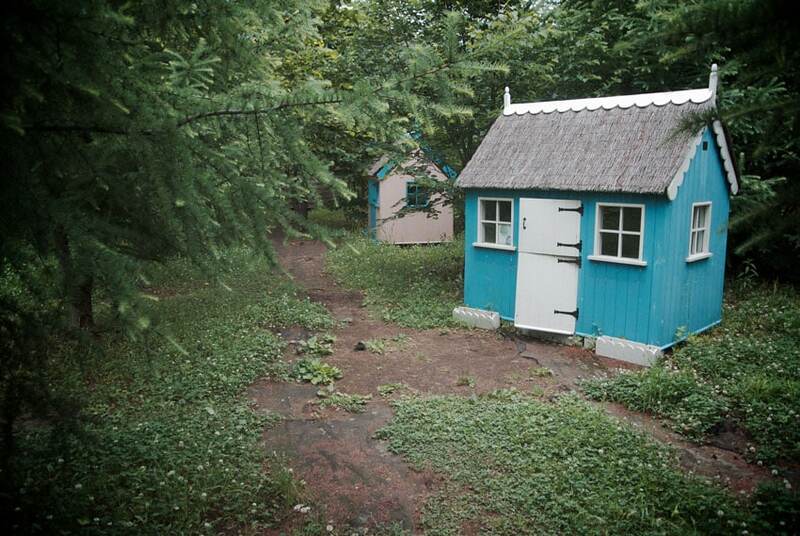 This tiny house complex fits right into the dried grass background of this hilly terrain. 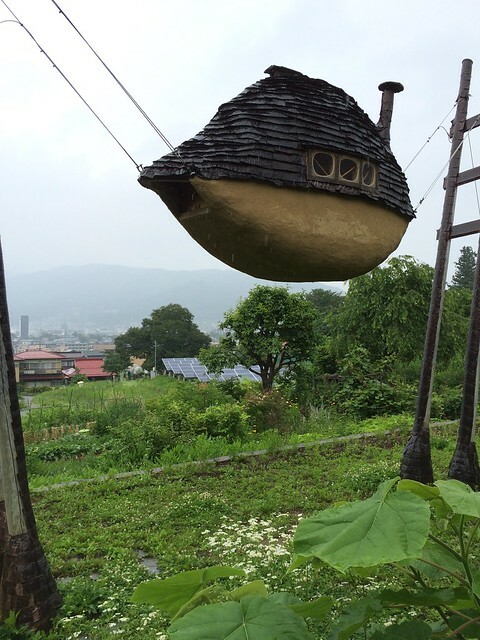 Sod is piled onto the metallic roof panels of these houses which are sunken into the earth and held by retaining walls made of cobbled stones. To protect from the elements as well as to add a more Modern feel, metallic panels in black make up the façade of the house, with a central main door or window with clean white mullions. 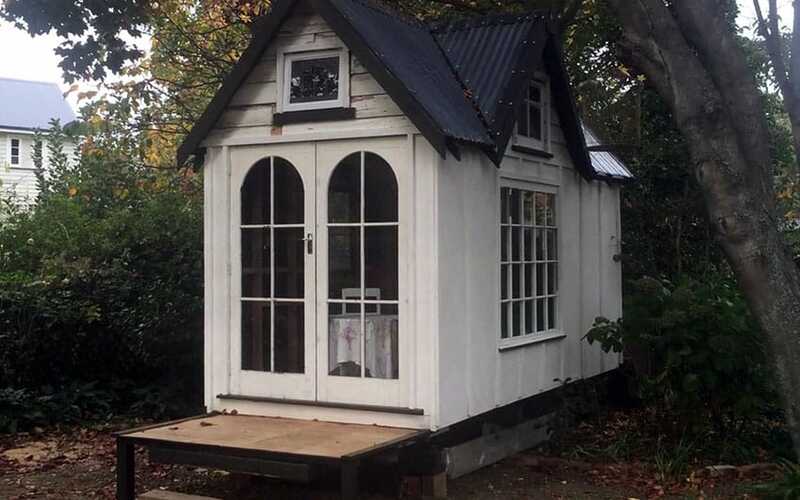 This tiny house in weathered white vertical wood planks is topped with a simple corrugated iron roof in black, forming a gable over the house with a smaller dormer on its side for the high square window. With a small deck on its front, arched glass double doors open into the humble abode, done in an off white tone for its mullions. Who says you need a house that’s stuck in one place. With a tiny house on wheels those with a sense of adventure can set out on the road with all the comforts of home at their disposal. 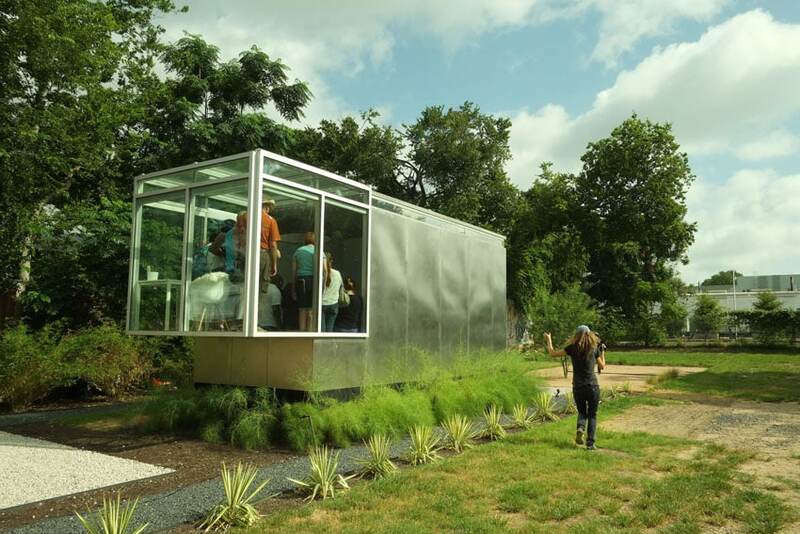 These little homes usually come in at under 200 square feet to make them efficient for transporting. Their small size makes them environmentally friendly and they can be placed with a minimal impact on the surroundings. 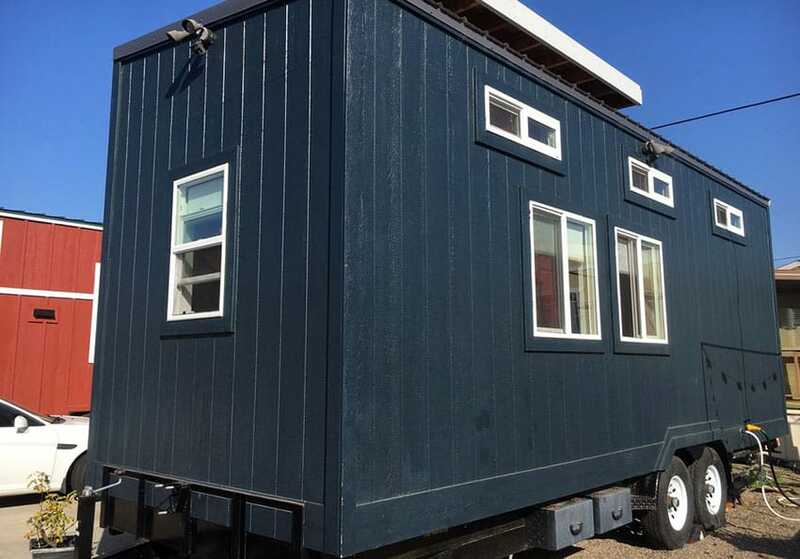 This portable tiny home offers about 190 square feet of indoor living space with two sleeping lofts, a stainless steel kitchen, living area, closet, shower enclosure and bathroom. This tiny house on wheels can fit into any neighborhood, with the neutral light grey tones of its ship-lapped wall planks and classic white trims and mullions. The house is topped by a shingled room in a darker grey shade and features a small skylight, letting light into the movable home. 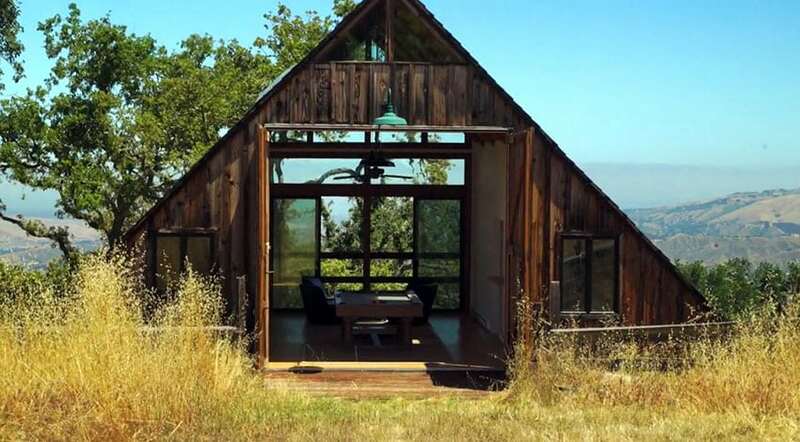 Tiny house designs with more windows benefit from additional natural light. This home’s interior although small is bathed in light, thanks to the many double hung windows it has on its exterior, as well as the main door being in white mullioned frames. 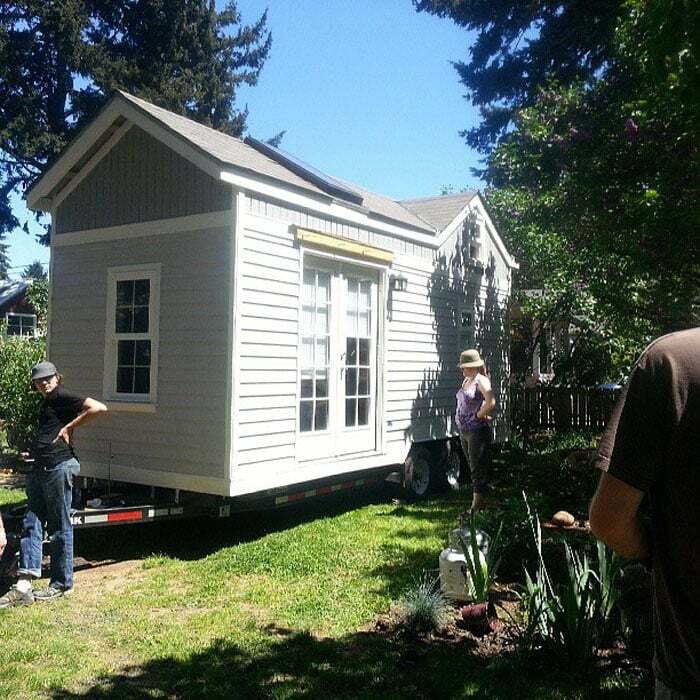 A tiny home would do well to stick to having just one room, as partitions tend to eat up a lot of living space. This tiny house on wheels comes in a warm woodsy palette, starting from its dark stained wood plank walls laid out in a horizontal pattern. A warmer wood was used for the house’s door and window trims, as well as the fascia for the gabled roof. Two thin wooden posts hold up the protruding attic space over the small porch, led to by two small steps. 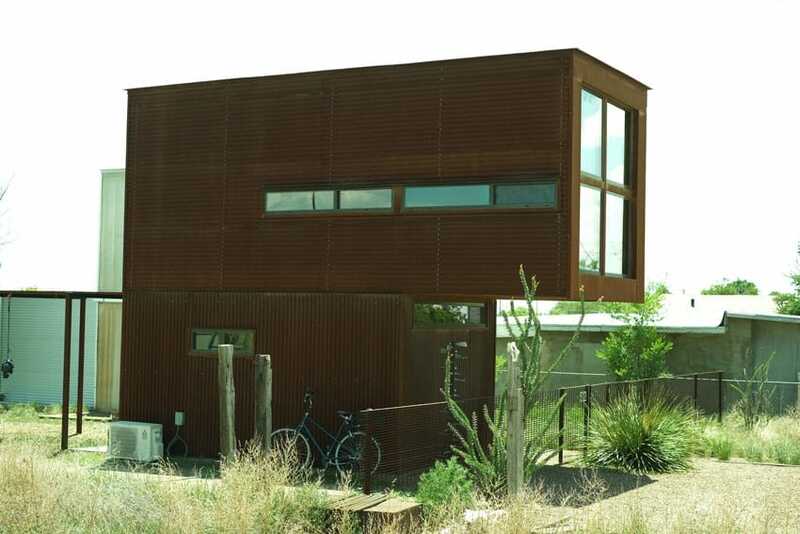 The house is fitted with photovoltaic panels on the roof so that it can run on solar power. Fitting in with the brown and grey hues of the surrounding woods, this tiny house features a slightly complex roof—a gambrel, used most often for barns because storage space can be created in the rafters of the voluminous roof. The whole house features a beige-yellow color on its vertical wall planks underscored by the contrast of clean white on its window frames and main door. A small deck sits at the very front of the house; lead up to by a small set of steps. 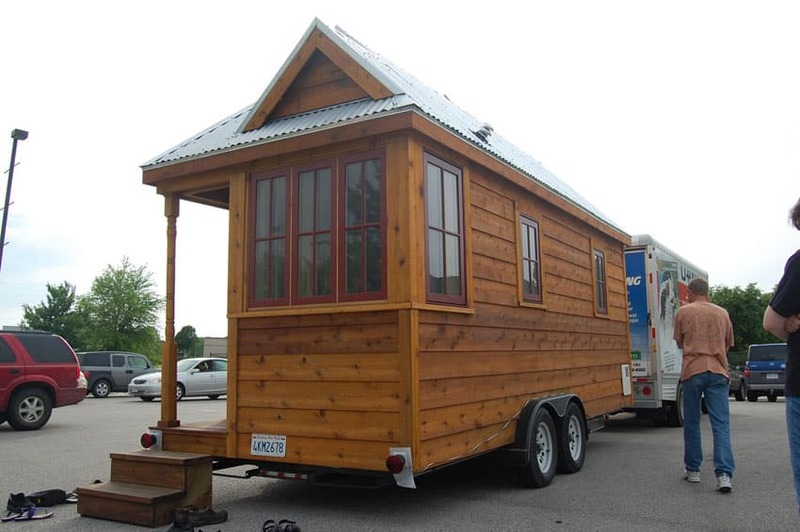 This tiny mobile home comes with an asymmetrical hip roof, with a triangular dormer on one side allowing for higher headroom in that area. The rest of the mobile home’s body features horizontal wood planks in a warm tone with natural dark knots. A dull red tone is used for the window framing, adding a small pop of color to the neutral palette. To the side, a small set of steps leads up to the small porch which is highlighted by the carved wooden post on its corner. This tiny house looks like it came straight out of a story book with its green trims and decorative pink shutter. Even the wood shingles tacked onto the front façade combined with the steep gable roof add to the whimsical feel of this small cottage. 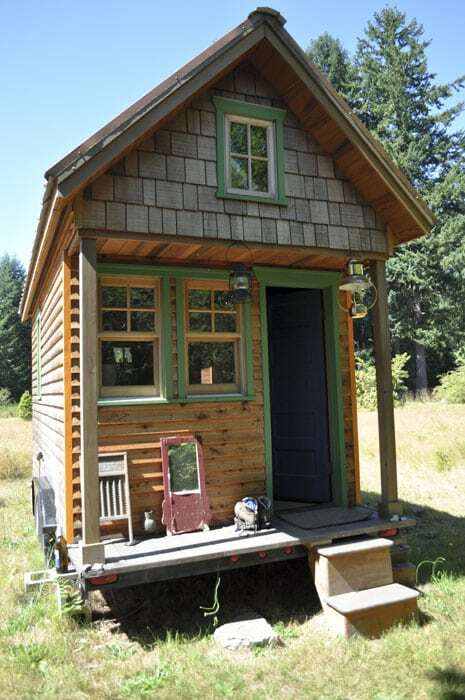 This small home is also mobile, with wheels supporting in on either side and a set of small wooden steps leading to the main door. 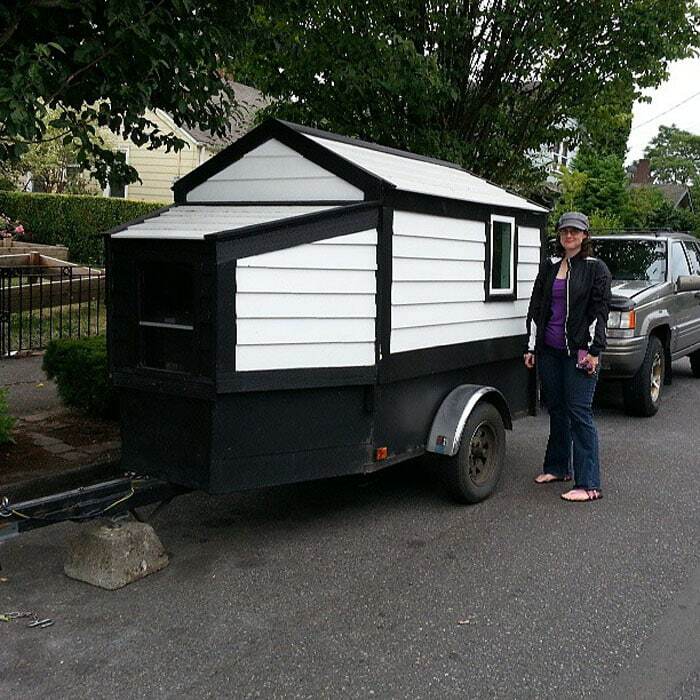 This ultra-tiny house on wheels is almost no taller than a person and can be attached to a car during traveling. Going for a more monochromatic color scheme, the house is decked mostly in white painted wood planks laid out horizontally. This look is contrasted by solid black trims on the house’s edges, particularly that highlighting the small gable roof and small square window. This small house on wheels stands out from the crowd with its peacock blue walls and main door in red framed glass with matching red steel canopy. The roofing of the house uses simple maroon colored metal sheets forming a gable roof. 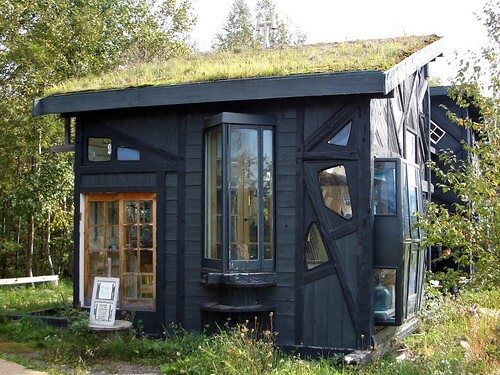 The whole house is elevated from the ground and features a small black platform at the front of the tiny house. 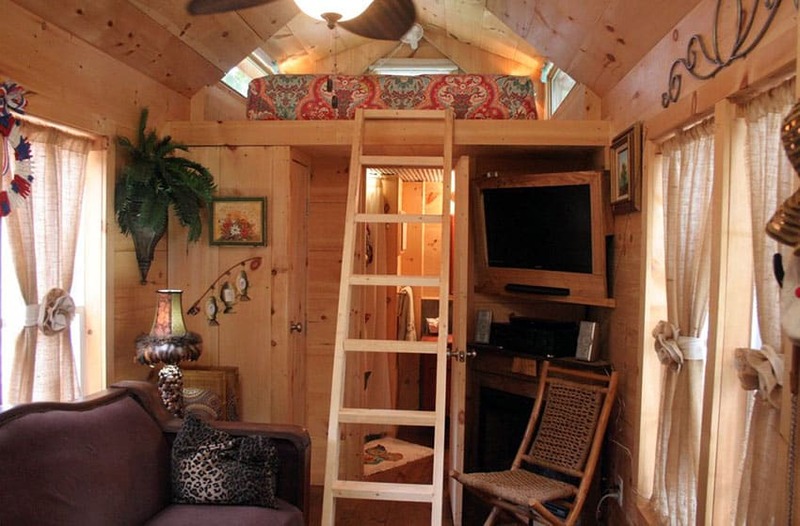 Tiny home designs on wheels are effective for those with a sense of adventure who want to see the the country and maintain a low cost of living. This trailer house features a fancy slender column on its entrance porch, carved with precision and grace. The small front porch has a double hung window framed in white to one side, and a pinewood door on its front, complete with black iron lockset. The rest of the house features a muted mint green color for its clapboard walls as well as many more double hung windows with white framing.